By Laura. Posted July 31, 2011 at 3:19 pm. Ahhh, it feels so nice to have my nails done again. During the Week of Hell and No AC, I left my nails pretty much unattended. 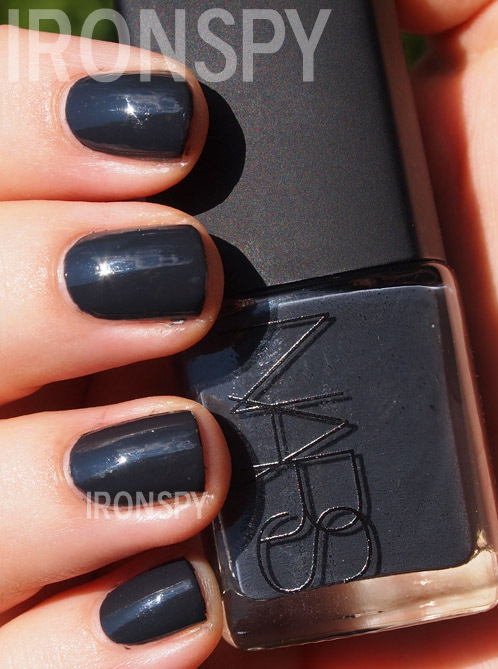 I’m glad I got NARS Galion ($17/.05oz), the lovely dark blue-tinged gray is the perfect welcome back to the land of the manicured. The polish is very opaque, I could’ve gotten away with one coat if I was careful – but since I’m never careful, I did two. The formula is great, not streaky at all. I think this may be limited edition, so if you want it get it while you can!